The WC risk management certification program is managed by a Board of Directors comprised of representatives from WC insurance companies and PEO industry leaders. To ensure a broad industry perspective is considered, the board relies on an Industry Advisory Board composed of PEO risk managers and insurance brokers for technical review and advice. David is co-founder of Praxiom Risk Management and a managing partner and risk management consultant for The Integrita Group. He has more than 30 years of broad-based experience in risk management, safety, human resources, and business operations. Prior to founding Praxiom and The Integrita Group, Dave served as Sr. VP of Risk Management for Advantec, a large Florida-based PEO. He has also served as Vice President of Human Resources and Administration for U.S. Aggregates and was the first Director of Risk Management for LifeStyle Furnishings International in High Point, NC. Dave earned a Bachelor’s degree in Business Administration from Baldwin-Wallace College. He has also earned recognition as a Certified Safety Professional from the Board of Certified Safety Professionals and as an Associate in Risk Management from the Insurance Institute of America. He is a licensed property/casualty agent in a number of states. Dave is a member of the Florida Bureau of Workers Compensation Fraud Task Force, as a representative for the Florida PEO industry. 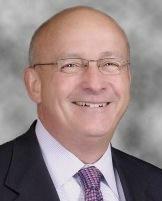 Carl is president of Odyssey OneSource, Inc. and has served on the company's senior management team for over a decade. Prior to joining Odyssey OneSource, he served as president of The Laxus Group, a PEO, which Odyssey acquired in 1993. His career in the employer services industry began in 1986 as District Manager for Automatic Data Processing (ADP), the nation’s largest employer services provider. Carl is a past president of the National Association of Professional Employer Organizations (NAPEO) and is also a past president of the Texas Chapter of NAPEO, the statewide association for PEOs doing business in Texas, where he served three consecutive terms as president. He is active in the industry’s regulatory and legislative affairs on both a state and national level and frequently authors and speaks publicly on behalf of the industry. He holds a bachelors degree in Business Administration from Sam Houston State University. Chris has been in the insurance industry since 1989 and currently serves as Managing Director of PEO/Staffing for Lumbermen’s Underwriting Alliance. He has worked at LUA since 1994 serving as a Producer, Office Manager, District Manager before taking his current position. Chris has a Bachelor of Science in Accounting and is a Certified Insurance Counselor and Certified Risk Manager. Derek is a principal and consulting actuary in the New York office of Milliman, Inc. He joined the firm in 1991. His experience includes due diligence for mergers and acquisitions, financial modeling, funding level estimation for self-insurance groups, loss reserving, ratemaking, reinsurance, and risk-based capital projections. His recent work has focused on surety and workers’ compensation lines of business, for which he has performed rate analyses, reserve reviews, and limited claim reviews. Derek has also performed analyses of asbestos and pollution liabilities for both insurers and reinsurers. His clients include insurance and reinsurance companies, self-insurance groups, and legislative/regulatory bodies. Derek is a Fellow in the Casualty Actuarial Society and a Member of the American Academy of Actuaries. He also serves as vice president of the Casualty Actuaries of Greater New York and is on the CAS Examination Committee and South Carolina Captive Insurance Association Education Committee. He received a BA degree in Economics and Mathematics from the University of Virginia. Reggie currently serves as Underwriting Manager in the AmTrust Underwriters Division of AmTrust Financial, Inc. Reggie’s current responsibilities include underwriting and managing the PEO Workers' Compensation Program team in Chicago. He has been with AmTrust since April 2013. Prior to his current position, Reggie spent over 20 years at CNA with leadership roles including National Premium Audit Director and Chief Marketing Officer and Head of the Sales & Service Center for CNA Small Business. At Zurich, he held Assistant Vice President and Vice President roles including most recently, head of Midwest Region Operations. At SUA Insurance (Tower Group), Reggie was a Program Director and Head of Underwriting Services (Corporate Underwriting, Premium Audit and Loss Control). Reggie holds a BS degree in Economics from Bridgewater College in Virginia. 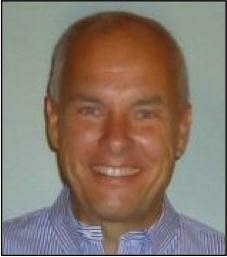 Rob is a Vice President in the Global Corporate Casualty Division of Zurich Financial Services. Since joining Zurich in early 2005, he has served as the underwriting manager for Zurich's country-wide large account PEO book of business. Rob has 18 years experience in the insurance industry serving on both the carrier and broker side at various positions throughout the southeast. Prior to joining Zurich in 2005, he worked over three years for Marsh and spent several more years with both the PMA Insurance Group and Hartford Insurance. Rob is a licensed Property/Casualty Insurance Agent in the state of Georgia, and has a Bachelor of Business Administration degree from the University of Georgia in Risk Management and Insurance. Glen has been involved in the PEO and staffing industries since the late 80s. He started his career working as Manager of Information Systems for Staffing Network and Nexus Payroll Services located in Manchester, NH. He then worked as Manager of Training and Documentation for PayPlus Software, a division of Zurich Payroll Solutions, where he provided extensive on-site PEO consulting services for both new and established PEOs, including analysis of operational structures with an emphasis on internal controls and infrastructure. He also coordinated training classes with student sizes ranging from 20-200. From 2000-2005, Glen was Chief Executive Officer at Florida Ag Services in Avon Park, FL, a temporary staffing company specializing in agricultural labor, as well as National Employer Services, a PEO in Avon Park, FL. Glen joined SUNZ Insurance Company at its inception in 2005 as Chief Information Officer and was instrumental in the design and implementation of all technology currently in place. Due to his extensive background in the PEO and staffing industries, he helped create systems to ensure compliance in the areas of fraud, payroll reporting and audit systems. In 2008, he was promoted to his current role of Chief Operations Officer and was also elected to the SUNZ Insurance Company Board of Directors. Glen now oversees day-to-day operations of SUNZ Insurance Company and Alliance Insurance Solution. 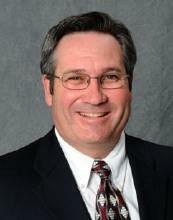 Glen is active in NAPEO, FAPEO and FSA and is also a Licensed General Lines Property and Casualty Insurance Agent. Andy is Senior Vice President of Artex Risk Solutions, Inc. which in late 2007, acquired Cedar Hill Insurance Agency where Andy served as Managing Partner and a board director. He is a member of Artex Risk Solutions’ Executive Committee, and serves as strategy leader for Artex’s staffing industry strategy, comprising insurance programs for the outsourcing industry, including PEOs, ASOs and temporary services companies. Prior to joining Cedar Hill, Andy was Managing Director of the Holsman Companies where he managed day-to-day activities in their Mexico City office. He previously served four years in management capacities for Lincoln Property Company/Fore Division in asset management, land acquisition, training and financial analysis. He has served on the NAPEO board of directors and holds a Master of Business Administration with an emphasis in finance from Pepperdine University, and a Bachelor of Science in Business Administration from Lynchburg College. Debra joined Chartis National Accounts Unit, in New York in 2003, with the objective to form a specialty underwriting team dedicated to the PEO segment. In that role, she established the PEO unit and formalized the integrated service mechanism that Chartis offers its PEOs through support areas which include policy issuance, underwriting, premium audit, claims and regulatory reporting. Her insurance career began in Philadelphia, PA and for over 30 years, she has relocated for the “love of insurance” to exotic destinations--Buffalo, NY, Nashua, NH, and Richmond, VA--with well known insurance carriers, such as Continental Insurance and ACE. Prior positions have included those in HR Management, Training & Development, Agency Sales and Marketing, Management of a Personal Lines Processing Center and Management of Commercial Lines Underwriting and Reinsurance. Debra is a graduate of St. Bonaventure University with a BA in History and has achieved both the CPCU and the ARe (Associate in Reinsurance) designations. Debra has been involved with NAPEO since 2003, and has participated actively in reviewing and offering recommendations to proposed rules and regulations for the PEO industry. Murray is currently the lead underwriter with Tower Group Companies for the Workers Compensation line of business. His primary focus is on professional employer organizations and the temporary staffing industry. Murray joined Tower Group in January 2007. Murray has over 25 years experience within the insurance industry in a variety of roles encompassing casualty underwriting, sales/marketing, and program management. He held positions of Program Director within CNA’s Commercial Affiliation Marketing (CAM), and PEO Business Manager within CNA Risk Management from 2001–2004. Prior to CNA, he spent 17 years with Wausau Insurance Companies in various positions including National Program Manager–Alternative Staffing. He was responsible for new business development and underwriting profitability for the PEO and temporary staffing industry segments. In the earlier years at Wausau, Murray was involved in new business development including underwriting marketing, account management, and retention of commercial property and casualty business. Murray holds a Bachelor of Science degree from Western Illinois University. He is also a licensed property, casualty, life, and health producer in Illinois. Jason Losen is the underwriting manager for the Employee Leasing unit of Liberty Mutual Middle Markets. His underwriting group provides assorted workers’ compensation programs to small and midsize temporary staffing firms and professional employer organizations that fit their business philosophy and goals. 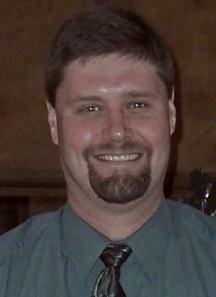 Jason joined the Liberty Mutual group in June 2002 as a commercial lines underwriter under the Wausau brand name. During his tenure he has developed unique expertise in insurance for the staffing industry - from temporary staffing and recruitment firms to the many professional employer organizations. He is well-versed in all lines of commercial insurance and is an advocate for the temporary staffing and professional employer industries. 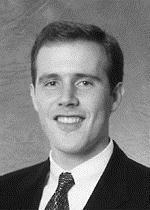 Prior to working with Liberty Mutual, Jason was a Risk Manager for the State of Wisconsin. Jason is a graduate of the University of Wisconsin-Madison with a degree in Risk Management, Insurance, and Real Estate. He is currently a member of Wisconsin Risk Management Alumni Association and a member of the American Staffing Association's Workers Compensation Risk Certification (WRC) advisory council. Charles is President/COO of Guarantee Insurance Company, a subsidiary of Patriot National Insurance Group. He has 30 years experience in the insurance industry and has held numerous senior management positions with leading insurance companies. Prior to joining Patriot National, he was Corporate Underwriting Executive at Arch Insurance Group, and held previous positions of Strategic Development Executive, Casualty Practice Leader and General Manager at Royal and Sun Alliance Insurance Group. He is a graduate of the University of Washington (BS) and the University of Pennsylvania (MS). Chris is a co-founder of Employer Flexible and has served as the Co-CEO and CFO since 2003. He began his career in the wireless communication industry and transitioned into the business service industry at Employer Flexible. Chris has an MBA from Sam Houston State University, a BBA in Management from the University of Houston, and is also a Senior Professional in Human Resources (SPHR). Since receiving his degree in Communications from Florida State University, Ben has worked for and/or owned companies that specialize in human resource management. He has been in the staffing industry since 1988 and currently holds the position of President of the PR Companies, which own and operate businesses in the staffing and PEO markets. Under his direction, his teams have recruited, interviewed, screened, profiled and placed thousands of employees in every conceivable industry. Ben has been the driving force behind the company’s utilization of technology to help streamline business processes, but has also emphasized the importance of developing personalized solutions for their clients’ ever-changing business conditions. Ben is actively involved in many community activities, charitable organizations and local and regional business councils. 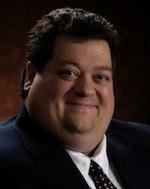 Terry Hookstra is CEO and founding shareholder of eEmployers Solutions, Inc. based in San Antonio, TX. 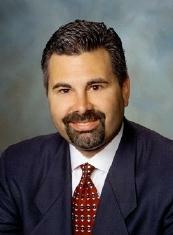 His executive experience spans over 25 years within the high technology and sales arenas. He holds various levels of insurance licenses. Terry graduated from the United States Armed Forces Institute and holds both a BS in Computer Science and an MS in Database Engineering from the University of Nebraska at Omaha. Steven is Chief Operating Officer, Executive Vice President and General Counsel for the brand of Compensation Solutions and related entities (“CSI”). He is experienced in a broad range of areas in the employment industry, including labor and management issues, regulatory compliance, HR, risk management, benefits, insurance, arbitration, mediation and litigation. Steven’s responsibilities include direct involvement in strategic planning, managing legal affairs for the companies while also assisting in many of the day-to-day operations. Steven has been admitted to the practice of law in more than 5 jurisdictions including the state courts of New Jersey and New York, as well as the United States District Court of New Jersey and the United States Eastern District Court of New York. He is active with the National Association of Professional Employer Organizations, (NAPEO) and serves on the Legal Advisory Council (LAC), Governmental Affairs Committee (GAC), as well as various sub-committees advising the industry. Chuck is the co-founder of PeopLease Corporation and has more than 30 years experience in both domestic and international finance and senior management in a variety of industries, including trucking and insurance. He has a Masters' degree in International Management from the Thunderbird School of Global Management, has been on the board of a number of organizations and currently serves on the Government Affairs Council of the National Association of Professional Employers Organizations (NAPEO) and on the PEO Roundtable of the South Carolina Department of Consumer Affairs.